This was one of my first fabric photo transfer projects. The photo was printed as part of a workshop that I took at the fabric shop in Arnprior, ON. I’ve used this technique in a number of projects since and sometimes use photo printing to record my photo inspiration on the back of a quilt or for my labels. The pieced border was from batiks and when completed had the look of suede. 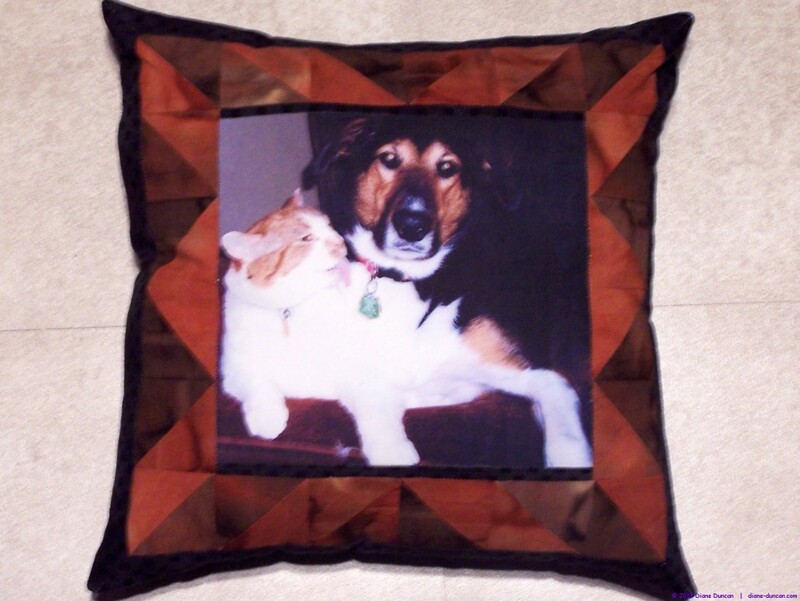 A quick and easy gift item that commemorates the friendship between a much loved cat and a young pup.